Custom PHP settings allow you to control variables such as upload sizes, file timeouts and resource limits. 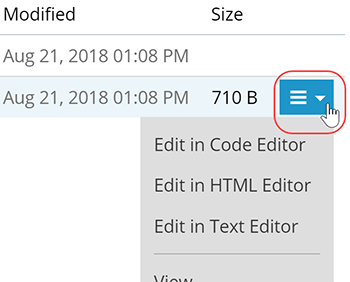 Advanced variables can be edited in your Plesk shared hosting account with the .user.ini file, or you can edit common settings in the dashboard. Note: The Performance and security settings cannot be edited. In the left side navigation, click the Files tab. Locate and open the file you want to edit. Note: If you don't see the file that you are wanting to edit, you will need to create it. Click the icon on the far right side and select the type of editor you want to use from the dropdown. Edit your file, click Apply then click OK to save your changes. To ensure your changes take effect, we recommend recycling your application pool. 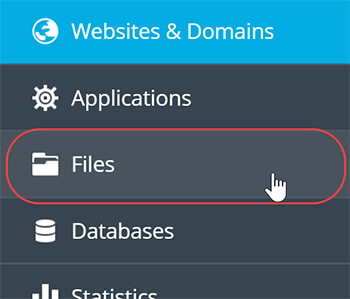 Save your content locally by backing up your website via FTP. Was ist meine absoluten Pfad in Plesk-hosting?